MONTREAL -- Transport Minister Marc Garneau faced an escalating dilemma Tuesday over Boeing's 737 Max 8 aircraft, which a growing number of countries have grounded or banned in the wake of the Ethiopian Airlines crash that killed 157 people Sunday. The 737 Max 8 continues to fly in North American skies, but is grounded in the European Union as well as Australia, China and other states following the tragedy. 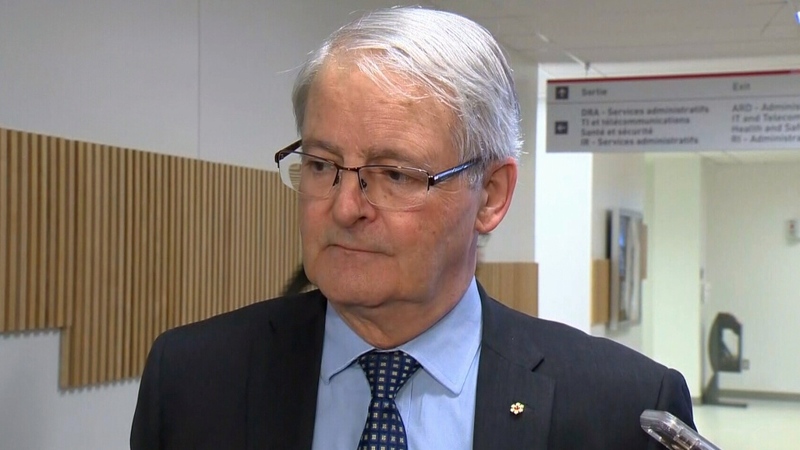 "That could include grounding the planes, but at the same time I will evaluate all possibilities and not jump to conclusions before we can clearly evaluate the situation," Garneau said. The Ethiopian Airlines crash, which killed everyone on board -- including 18 Canadians -- has raised concerns over parallels to a Lion Air crash of the same model of aircraft in Indonesia that killed 189 people last October. Earlier Tuesday, authorities from more than half a dozen countries and regulators, including the European Union Aviation Safety Agency (EASA), announced grounding orders or airspace bans on the aircraft. By Tuesday evening, 34 airlines had grounded the Max 8, leaving the majority of the nearly 390 Max 8s currently in service around the world confined to the hangar. Robert Kokonis, president of Toronto-based consulting firm AirTrav Inc., says EASA's suspension of all Max 8 and Max 9 planes puts "massive pressure" on Garneau. "It's really going to give the minister pause for thought," he said. "I think they've been feeling an unprecedented level of heat from social media -- both airlines and aviation regulators." Adding to the pressure, the Canadian Union of Public employees -- which represents more than 8,000 Air Canada flight attendants -- said late Tuesday that its members have safety concerns as a result of the recent crash and don't want to be forced to fly on the Max 8. Air Canada has 24 Max 8 aircraft, which it uses mainly for domestic and U.S. routes, while Calgary-based WestJet Airlines Ltd. has 13 Max 8s and Toronto-based Sunwing Airlines Inc. has four. A grounding order in Canada would prove costly for Canadian airlines, says Karl Moore, a professor at McGill University's Desautels Faculty of Management. Larry Vance, an aviation consultant and former Transportation Safety Board investigator, cautioned against drawing too many comparisons between Sunday's disaster and Lion Air Flight 610, which plunged into the Java Sea on Oct. 29.